Apply online application to Jharkhand Police SI Result 2018 JSSC SI Final Result Adv. No. 05/2017 JCPSICE 3022 JSSC Combined Police Sub Inspector Competitive Exam-2017. Jharkhand Staff Selection Commission Recruitment Board, latest notification for JSSC Combined Police Sub Inspector. Applicants can get full advertisement below and submit the JSSC online application at jssc.cbtexam.in. Applicants who are going to apply, ensure that you are eligible for post of JSSC Combined Police Sub Inspector. The applicants will have to apply online, no other option. The last date of submitting online application is 06.07.2018. JSSC notification further information such as eligibility criteria, syllabus and how to apply etc. listed below. Education qualification: Bachelor Degree in Any Stream in Any Recognized University in India. Other State Candidates Also Eligible to Fill the Recruitment Form. Age Limit: 21-26 years as on 01.08.2017. Payment of application fee can made through SBI I Collect Fee Mode Debit Card, Credit Card, Net Banking or E Challan Fee Mode Only. How to apply: Eligible applicant require to apply online through Jharkhand Police SI Result 2018 website jssc.cbtexam.in from 06.07.2018. All those Candidates who filled their Application form for the above Posts gave the exam successfully. The Pre Exam was conducted. The Main Exam was Computer Based Test (CBT) Type and Conducted from 17 to 21.11.2017. 1. 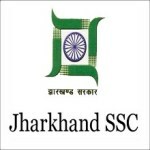 Log on to the Jharkhand Staff Selection Commission website jssc.cbtexam.in. 6. Make the payment by Debit Card, Credit Card, Net Banking or E Challan Fee Mode Only. Applicants have great chance to get jobs Jharkhand Staff Selection Commission Recruitment, however if someone want to ask anything please comment below.